. Practical insights and evidence-based approaches to forming partnerships.. Easy-to-read, non-technical language that speaks to both the heart and the mind.. Sample letters and other forms of communication shared between professionals and parents.. Stories and examples of real-world conversations between parents and professionals.. Effective ways to handle difficult situations. Rich with humor and heart, this highly readable book offers helpful steps for self reflection, personnel preparation and parent-professional training. Educators and parents will find expert guidance for listening to each other's music, trying out each other's dance steps and working toward a new dance that includes contributions from all with the ultimate reward of seeing children achieve their highest potential. 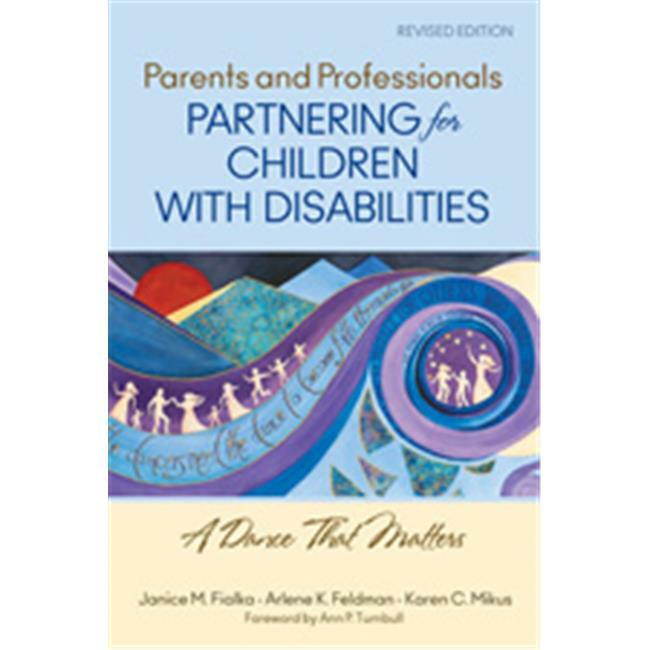 Janice Fialka is a nationally recognized speaker, author and social worker with an expertise in adolescent health, parent-professional partnerships, inclusion and post secondary education for students with intellectual disabilities. She has co-founded and directed several teen health centers in Michigan and has previously taught at Wayne State University in the School of Social Work.